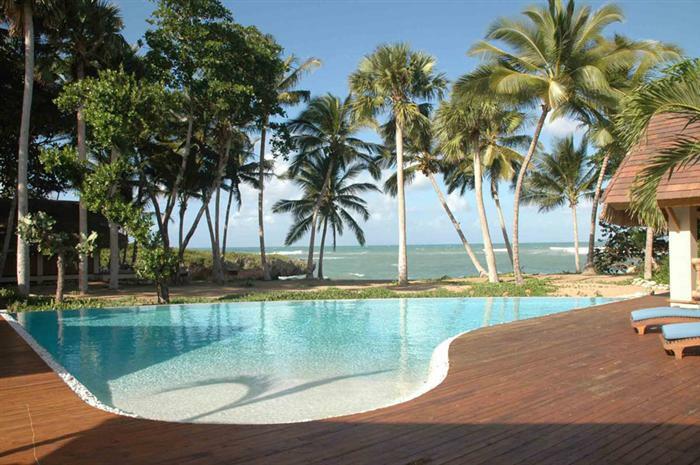 Beach front villa for sale in Sosua. 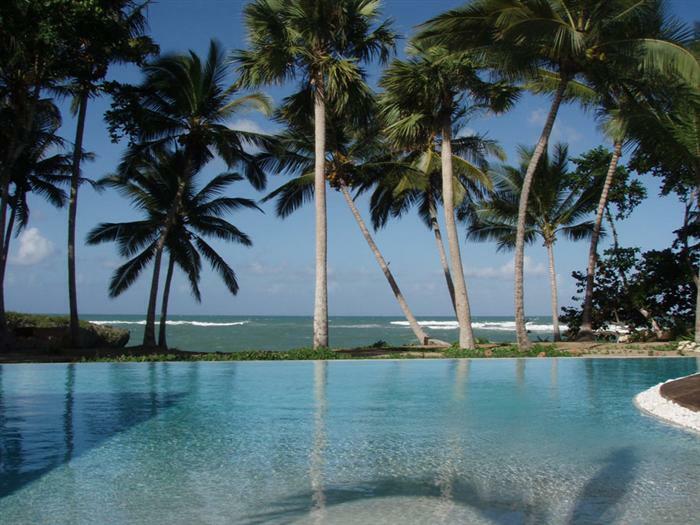 The most luxurious ocean front villa in the North coast's most exclusive gated community is now for sale. This is paradise Found! Surf, Windsurf, snorkel from your front yard. 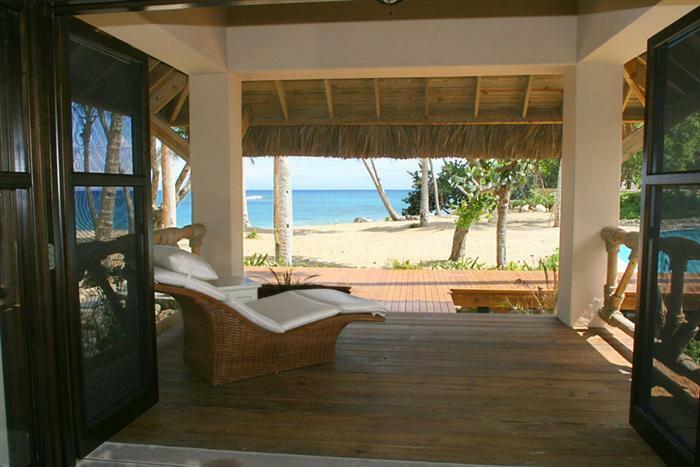 This four bedroom Sosua beach front villa will calm your senses and feed your soul. As the name itself implies, Villa Windsong captures the essence of downtime, making the quintessential beach vacation home a reality in today’s fast paced world. 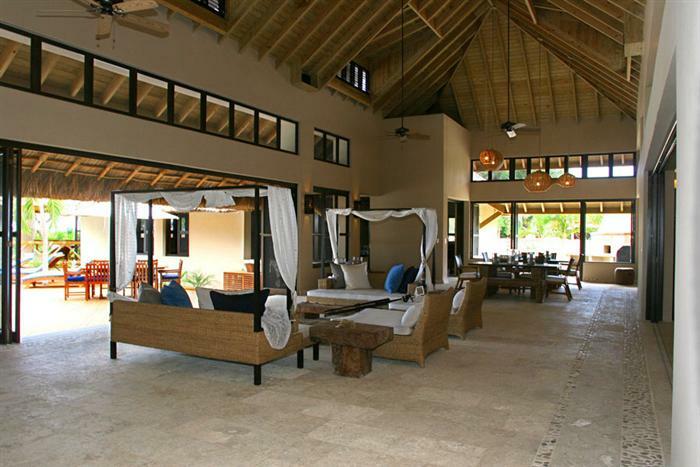 Asian influences can be seen in the raised wooden entrance and the outdoor walkways, as well as the palapa facing the sunrise for yoga, reading, or meditation. 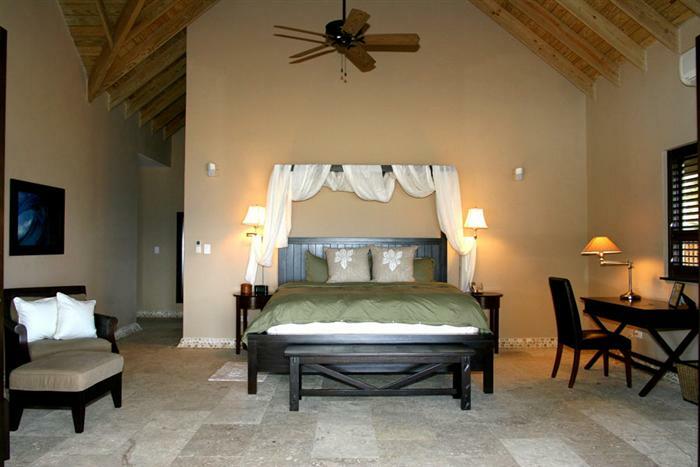 Native Dominican coral floors containing gorgeous natural shell shaped fossils, the bathroom showers perfectly round white stones from Barahona as well hand maid hemp rope on the rafters are the natural materials that inspire you to relax and live in harmony with the sound of the ocean. If meditation is not your thing, you can enjoy surround sound music and movies in the media room with your 60 inch Sony Vega. For those rare moments when there isn’t a cool on-shore wind, all bedrooms, the media room, and kitchen are air conditioned. 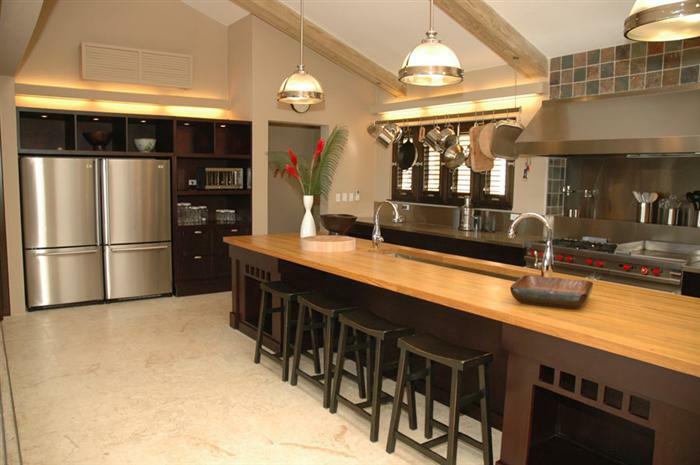 A cook’s kitchen does not begin to describe the artfulness and simplicity of this unique and well-designed kitchen ideally suited for entertaining. An added bonus just outside the dining area is the herb garden & brick pizza oven for a cook’s kitchen grand finale. 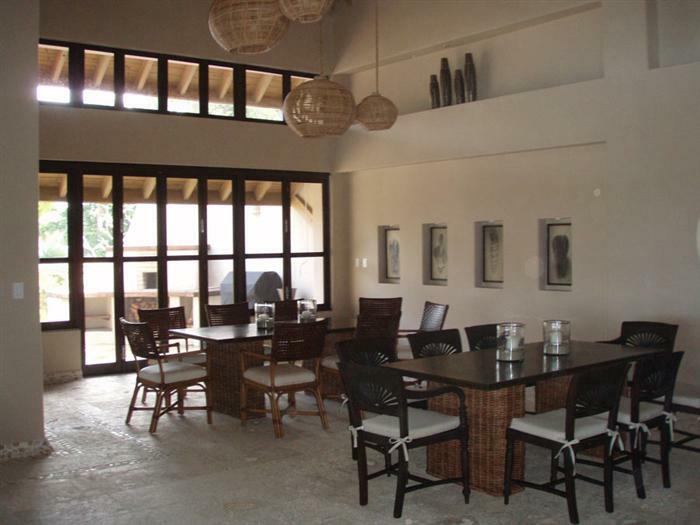 Although renters love this villa, an owner will be interested in how this villa meets your needs. 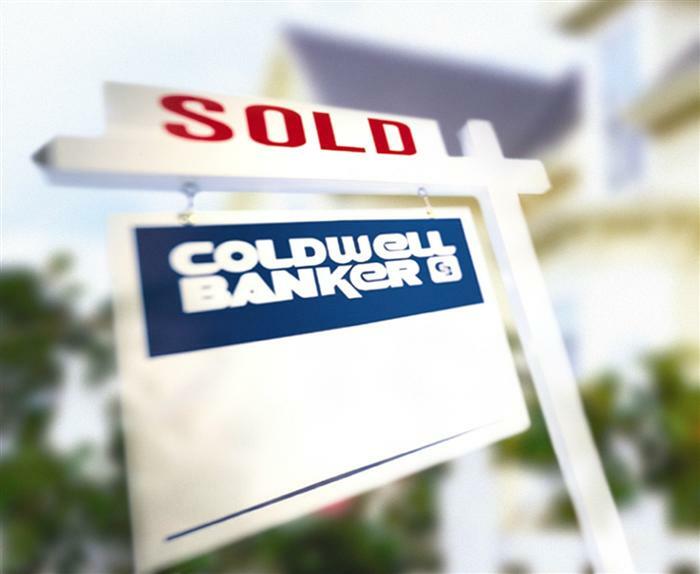 Start with all cedar closets, an ample laundry facility, two staff bedrooms and bathrooms, the only four car garage in the community with direct access to the kitchen. 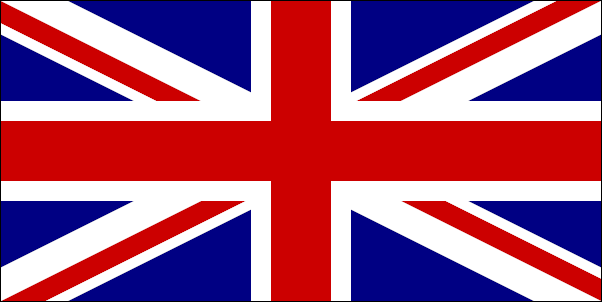 Every detail has been thought of for your aquatic sports equipment usage and storage. In true fashion, the line between outdoor and indoor disappears in this open air villa, creating an ambiance of nature and enjoyment rarely available in residences around the world. An enormous master bedroom is located at one extreme of the villa offering privacy and tranquility while the other master bedroom and en-suite nursery or bonus room is located on the guest wing with two other bedrooms. All rooms are decorated in elegant yet understated furnishings. Rarely does an exotic vacation villa double as a functional residence as perfectly as villa Windsong. 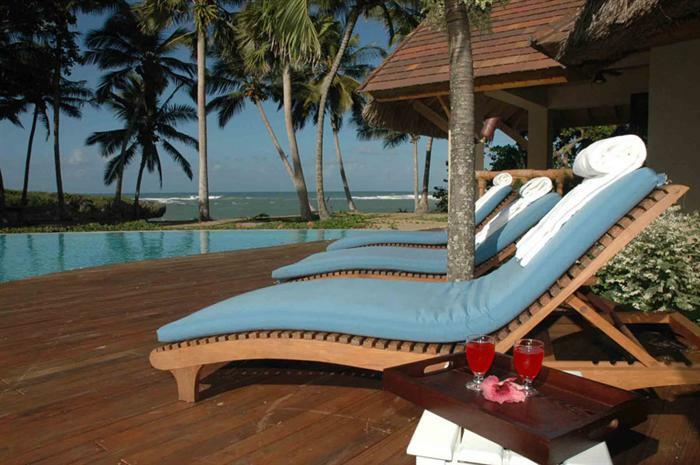 Staying in this villa is truly an exotic experience that you will carry with you wherever you are. 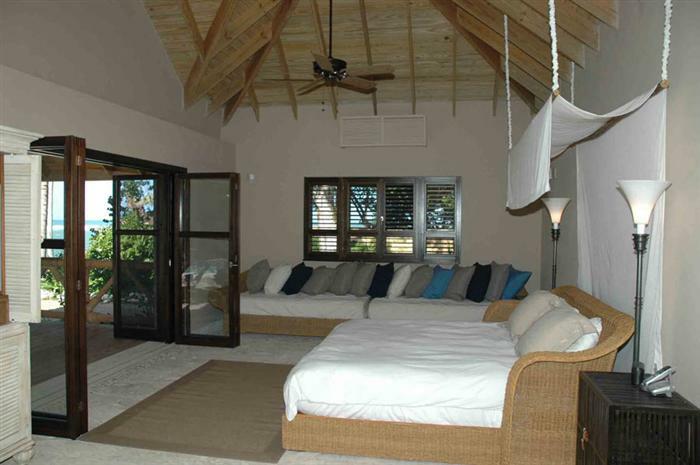 This is one of the most unique beach front Caribbean villas for sale.